It is a photographer’s (paparazzi) dream, Venice, one of the most beautiful places in the world, with stunning backdrops at every turn, and the marriage of America’s most notable bachelor. No wonder that rafts of photographers are following the wedding party around as the bread and butter of all paparazzi all congregate for this spectacular ceremony and party, a perfect opportunity for a valuable photo. However, Clooney and his bride have sold the rights to the wedding pictures to Vogue in return for an undisclosed donation to the Clooney foundation. To watch the video of the paparazzi attack, click here. Travel in Venice is by water taxi, giving everyone a good glimpse of the riders. There are no “gated” communities so plenty of opportunity, like standing on the bridge awaiting the taxi, the entrance. And to help you know where to be there is even a moment-by-moment blog advising you of their arrivals, departures, breakfast and anything else you might be interested in knowing. 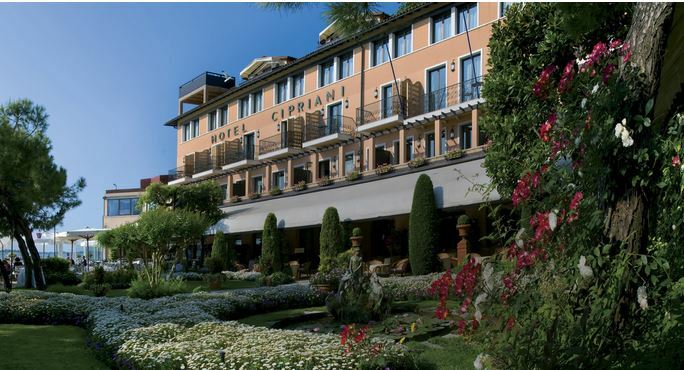 Many of the guests are staying at the Hotel Cipriani, a well-known hotel on the island of Guidecca, not a normal tourist destination, though you can take the private Cipriani taxi from San Marco Square directly to the hotel. Like it’s well-known sister, Harry’s Bar, you’ll find celebs from all continents here – but few Venetians, unless they are working. It does boast some of the best chefs’ in Venice and the view of San Marco is exquisite. 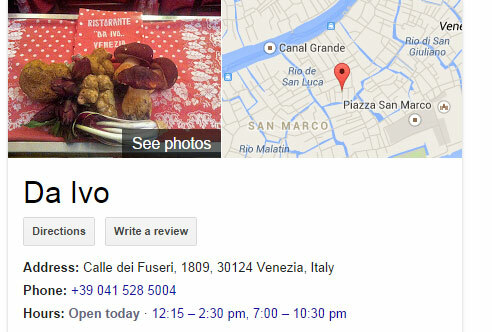 The Stag Party Dinner on Friday night was at a Da Ivo, on a back canal near San Marco. 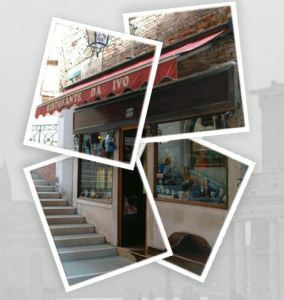 It is rated in Zagat with a 24 out of 30 for the food, serving both classic Venetian foods like Seppie alla Veneziana and Branzino alla Griglia but also is touted for its Tuscan fare, namely the delicious Fiorentina steaks. The marriage on Saturday is in the Aman Hotel, known as the Palazzo Papadopoli to locals. The Papadopoli family has owned this property for over 200 years, just selling to the Aman Hotel group last year, though they still maintain their apartments on the top floor. It affords the wedding complete privacy once they have entered from the port’aqua (Water Entrance). It is quite secluded aside from the water entrance as the only entrance on land is through a tiny alley. It has the luxury of formal gardens, not often found in Venice. At night passing on the Grand Canal, you can glimpse the beautiful Murano Glass chandeliers which grace the Piano Nobili (the main floor). With only 24 rooms, you can imagine that it is not a budget hotel. 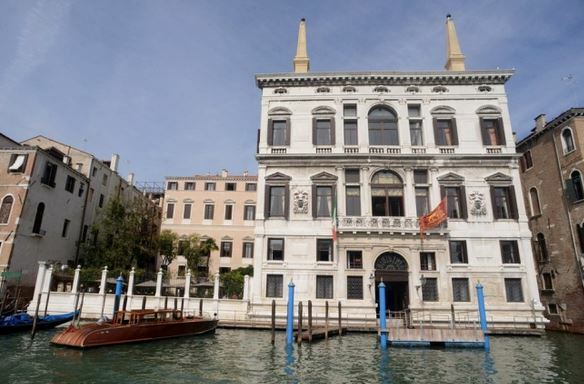 Their is also a party reportedly taking place at Ca’ Vendramin, also known as Casino Venezia, as it houses in addition to a great bar, the local casino (today – though it’s having it’s economical and managerial problems at the moment). The Ca’Vendramin was built between 1481 and 1509 by the Loredan family, who bore no less than three Doges for the Serenissima. It has changed hands many times over the centuries and was home to Richard Wagner (the German composer) in 1882-83 and the place of his death. In the comparison of the famous houses and palaces of Venice, it’s facade is less than spectacular, especially when compared to one of it’s neighbors, Ca’d’Oro. It is located on the Grand Canal just to the side of the Vaporetto Stop San Marcuola. With proper dress and enough Euro, you can easily go in and have a drink. Gaming has it’s own requirements. The filing of the papers will naturally happen at Ca’ Farsetti, the Venice City Hall. Venetians don’t seem to mind this wedding which is even closing the Grand Canal for a short while (obviously some money changed hands for this). 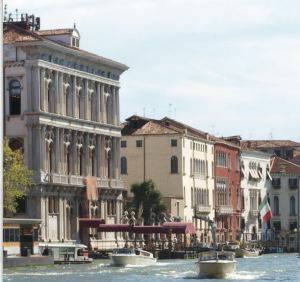 In fact, after a dismal summer tourist season, the influx of people in a congenial mood, ready to party, spending plenty of Euros as they do, plus the astounding number of “fans” are a welcome sight for the Venetians. One last video from Il Gazzettino, the procession. Enjoy and best wishes to George and his bride.